A familiar face returned in front of The Dolby Theater this morning in time for the 85th Academy Awards Oscars Ceremony. 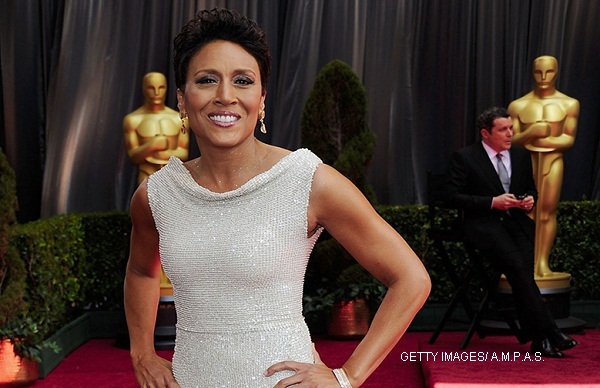 “Good Morning America” news anchor Robin Roberts entered from the Hollywood Blvd. entrance to practice her lines for a special presentation this year at the Awards show. 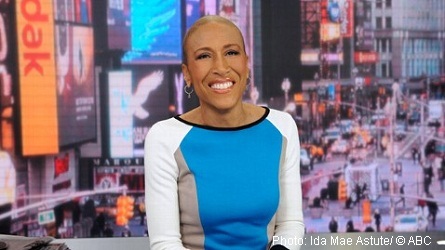 Pictured: Robin Roberts returned to “Good Morning America” earlier this week. Every year The Academy of Motion Picture Arts and Sciences (A.M.P.A.S.) and mtvU, MTV’s 24-hour college network, make available a unique opportunity to several college students in a contest where they are selected to attend the Academy Awards day of show. Typically, these are college students of broadcast journalism who win the chance to a coveted interview spot on the red carpet and get to talk to celebrities who are attending the annual awards show. Watch our EXCLUSIVE video below of Robin Roberts triumph return to The Dolby Theater for rehearsals of the run-through with the students’ stand-ins. This year, The Academy held the contest called “Oscar Experience College Search” for student film makers who had to submit a video responding to the question “How will you contribute to the future of movies?” The winners’ videos can be viewed at http://bit.ly/OscarExp13. Only a few were selected – six, to attend this year’s awards show. The students will be onstage along side celebrities (winners and presenters alike) to hand over the treasured eight-pound statuette to the presenters who, in turn, give the golden trophy to the winner of the Oscar.